Algarve property has long been a preferred choice for wealthy Europeans looking for a home in the sun, for those either in search of a permanent residence or a holiday home. As one of the most sought after real estate markets in Europe, the main attractions are the exceptional lifestyle quality, diverse landscape, excellent international transport links, world-class golf and, of course, the glorious weather. In fact, the mild climate of Algarve, with its long warm summers and mild winters, means that residents can enjoy the great outdoors and the natural environment all year long. The area is home to some of Europe’s best unspoilt beaches. Along its 200 kilometres of coastline one may find more than 150 of them, from wide stretches of sand to tiny coves snuggled into scenic rocky alcoves. And unlike some coastal areas in southern Europe, Algarve protects its valued beachfront through strict government regulation. Algarve presents itself as the ideal destination for holidaymakers, a place valued by hikers, nature walkers, painters and photographers alike. And it is not just the beaches: venture just a short distance from the coastline and Algarve opens up into fabulous countryside, a place teeming with history, flora and fauna. Highly favourable tax incentives, such as the Portugal Golden Residence Permit Programme – otherwise dubbed the Golden Visa – and the Non-Habitual Residents (NHR) regime are all helping to generate further interest in Algarve property. The Portuguese non-habitual resident regime provides an opportunity for new residents to benefit from a favourable taxation of foreign income with an exemption of taxation in Portugal. In addition, if a double taxation agreement is in place, a double exemption, both in Portugal and in the country where the income is paid, may be possible. Individuals who declare their foreign income in Portugal may also benefit from this preferential regime, with the inclusion of business and professional income, interest and dividends. The highly attractive regime also covers income derived from high value-added activities, which benefit from a special tax rate of 20%. The sole requirement for those wishing to take advantage of the preferential treatment is to become a Portuguese tax resident. Those wishing to do so must not have been a tax resident in Portugal in the previous five years. Such status may be maintained for ten years. In October 2012, Portugal launched its Golden Visa Residence Programme, aimed at providing prospective non-EU foreign investors with the opportunity to take up residency in Portugal by way of their investments, including property. Under the Golden Visa, non-EU citizens must only carry out one of the possible investments set out in the law to qualify and obtain a residency visa in Portugal. The residency visa will allow the investor to enter and/or live in Portugal, and to travel freely within the vast majority of European countries covered in the Schengen Zone. Meanwhile, Portugal has reduced the requirement for eligibility in the Golden Visa to as low as €350,000 in certain specified locations. Previously the cut-off point was €500,000. Properties older than 30 years, or those located in areas of urban regeneration, may qualify under the new rules. As well, the value of refurbishment work may count toward the minimum amount. And finally, the revised minimum level for qualification may be further lowered if the property is set in a lesser populated region. If these conditions are not met, then the original qualifying level of EUR 500,000 is still in effect. Foreigners’ enthusiasm for the Golden Visa programme continues to grow, making it one of the most popular residence programmes anywhere. The amended qualifying level is expected to make the programme even more popular than ever. The Non-Habitual Residents regime is attracting primarily Europeans, particularly buyers from France and Sweden, whilst the Golden Visa Permit appeals primarily to Chinese, Angolan, Brazilian and Russian buyers. However, buying Algarve property is primarily a lifestyle choice, and the real estate market continues to be fuelled by demand from affluent French, Scandinavians, British, Irish, Dutch and Belgian residents. With its gorgeous beaches, golf courses, sunny climate and a tax-efficient structure, overseas investors see how good the long-term potential is for returns on Algarve property. The region has some of the best conditions for second home buyers, whether it is for holiday homes or retirement properties. 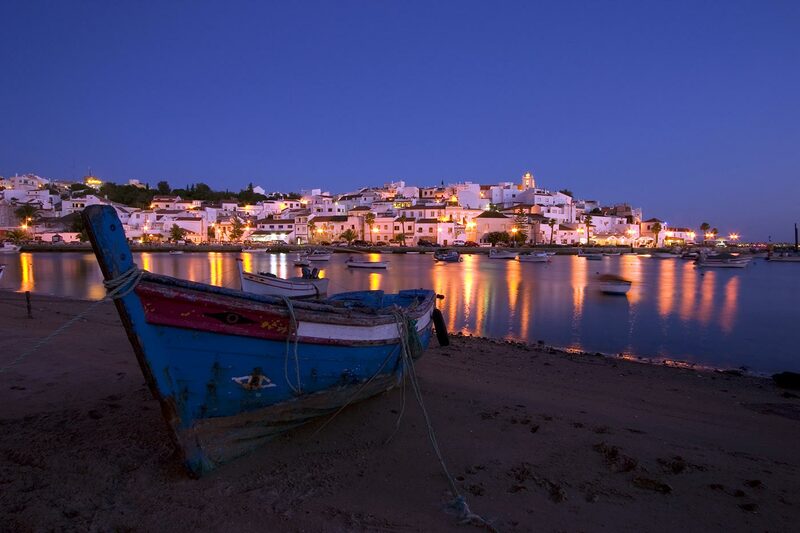 Explore other articles about Algarve property for sale.